An early career researcher, clinical neuropsychologist Dr Andrew Gardner is already emerging as a world leader in the field of sports related concussion. Both Andrew’s clinical work and research deal with diagnosis and management of acute, sub-acute, and possible chronic problems associated with sports concussion in active and retired athletes of all levels of competition. Andrew’s ultimate goal is to collect prospective longitudinal data that will provide definitive answers to questions around the mechanisms and consequences of concussions. Already much lauded and awarded, Andrew is Co-Director of HNEH's Sport Concussion Clinic, an Executive Committee Member of the Priority Research Centre for Stroke and Brain Injury, and serves as a member of the Australian Rugby Union's (ARUs) Concussion Advisory Group. With the UON Alumni 2016 Beryl Nashar Young Researcher Award and the 2015 Research Australia Discovery Award under his belt, Andrew’s research hasn’t gone unnoticed. In October 2016 Andrew was been awarded a 2016 NHMRC Early Career Fellowship to systematically evaluate the association between a single, and repetitive mild TBI and neurodegenerative disease in retired collision sports athletes by using advanced research methods to rigorously study the issue. As well as working on the coalface within Australia’s first public health clinic for concussed athletes, Andrew’s expertise continues to directly inform policy and instruction in several leading organisations, from the National Rugby League (NRL) and Australian Rugby Union (ARU) and Brain Injury Australia (BIA). Andrew states that negative media coverage surrounding contact sports has affected numbers of young people engaging in contact sport related activity. But he argues there is insufficient scientific evidence on sports related concussions to make definitive connections between playing contact sports and long-term traumatic brain injury. “The ageing population is not rife with former collision sport athletes with dementia,” Andrew notes. The so-called ‘dose effect’ of repeated concussions has been linked to chronic traumatic encephalopathy, but its definitive connection to chronic outcomes such as dementia and decreased cognitive function are not so clear. A lack of uniformity in response to concussion and healing time for different athletes has also compelled Andrew to look closer at several other factors that may influence both long and short-term outcomes. To better understand this threshold and influencing factors, Andrew is conducting retrospective study on retired collision sport players, ranging in age from early 30s to 90s. Taking into account age, genetics, vascular health, and mental health, as well as environmental factors such as drug and alcohol use, the study aims to pinpoint elements combining to affect long-term cognitive function relative to the number of self-reported concussions. In early 2016, Andrew and international collaborators presented a systematic review of genetic risk factors for concussion and mild traumatic brain injury to fellow experts in their field at the Eleventh World Congress on Brain Injury. “We believe different vulnerabilities and responses can be related to genetics, or related to existing pre-morbid disease or illness or personality characteristic,” Andrew says. “We also know that people who have anxiety, depression, attention deficit disorder, or learning disorders, tend to be more susceptible to sustaining a concussion,” Andrew says. Having worked closely with the ARU and NRL, Andrew cites the banning of shoulder charges and introduction of the concussion interchange rule as examples of serious wide scale policy changes toward managing player safety. With collaborators, Andrew has been working on a study assessing level of knowledge and attitude towards sport-related concussion among the public. “The codes are doing a lot of good work, but as ninety plus percent of participants are at a grassroots level, education around concussion is still vital to ensure player safety is paramount,” Andrew says. Data confirms anecdotal evidence that perception is slow to change within the rank and file of the rugby codes in Australia. “It’s not a badge of honour to carry a concussion and continue to play, you’re not going to play as well as you can and should,” Andrew states. Andrew is currently working on validating the use of video analysis as evidence of concussive signs in National Rugby League (NRL) match play. “Sometimes we need to protect players from themselves. They’re warriors and don’t want to come off field,” Andrew says. He explains that players can exhibit transient concussive signs such as gait ataxia, vacant stares, loss of muscle tone, impact seizure or stiffening of limbs, as well as black outs. These symptoms may resolve quickly and be missed in play but spotted by sideline staff on video playback. To ensure a concussive injury is not mistaken for another injury or strategic action by a player, Andrew watched every game of the 2014 NRL season to record injuries and responses as a means to identifying base rates for concussive injuries. This video analysis work is being done in league with the University of Ottawa, one of his many international collaborations. Andrew credits Professor Grant Iverson from Harvard University as a vital mentor and values research partners at Cardiff University, Exeter and the University of British Columbia. Closer to home, Andrew has collaborators at Southern Cross, the Universities of Melbourne and New England, as well as Macquarie and the Australian Catholic Uni. Working in a full-time capacity as a Neuropsychologist for the Hunter New England Local Health District in the Neuropsychiatry Service, Andrew’s research is an adjunct to his real priority - helping healthcare consumers manage mild brain related issues. 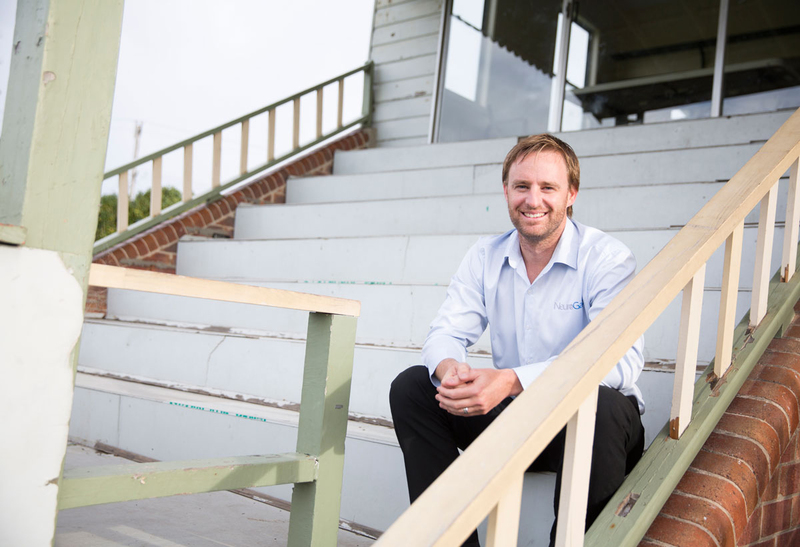 Before he even completed his PhD, Andrew was busy setting up Hunter New England Local Health District's Sport Concussion Clinic in consultation with local rugby league clubs, and in partnership with co-director Professor Chris Levi. The clinic is accessible to all adult athletes who are managed on a case-by-case basis. Recovery plans involve a holistic approach to informed choice, with mental health an equal priority to physical health. “We don’t focus on returning a player to the field, we focus on returning them to life,” Andrew says. With the reputation of the clinic continuing to build, Andrew hopes it will eventually duplicate, spreading expert diagnosis and treatment for acute collision, combat or recreational sports related concussion across the country. 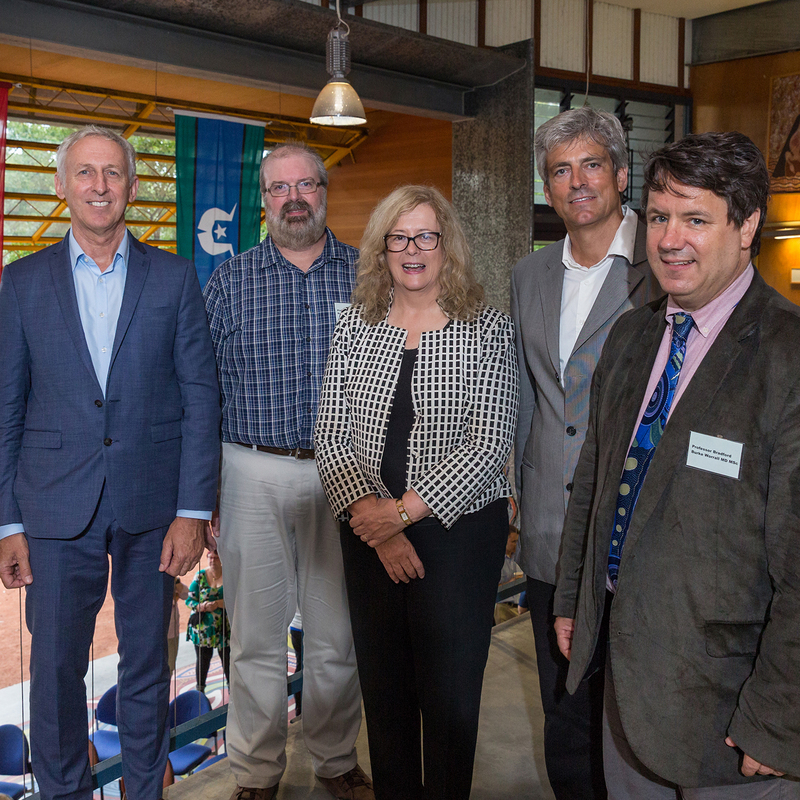 “The research program continues to grow and we are making advances and inroads,” Andrew reflects. 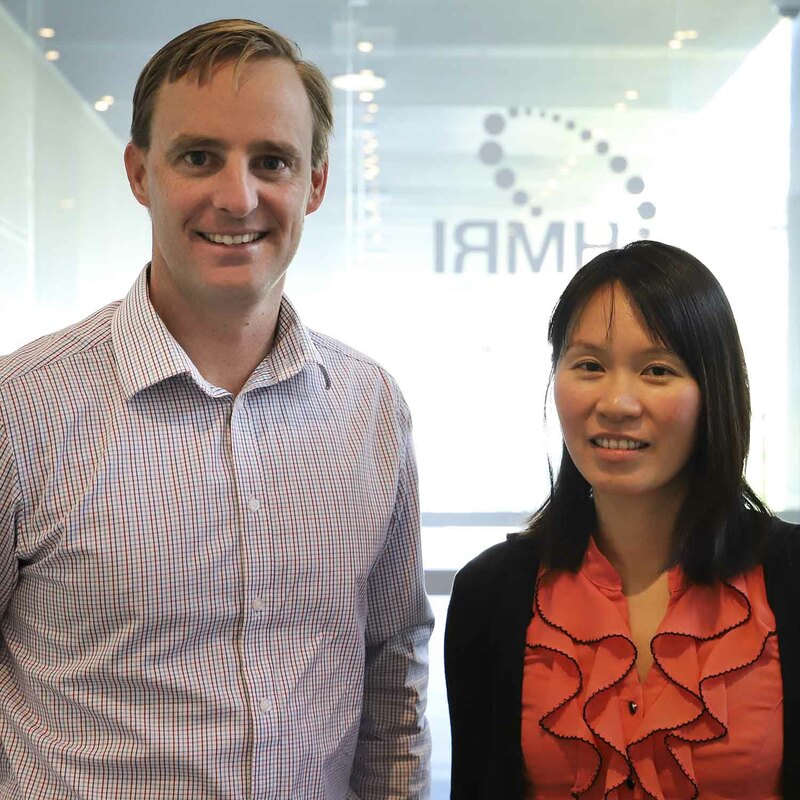 Dr Gardner is an NHMRC Early Career Fellow with the School of Medicine & Public Health and an honorary clinical research fellow with the Hunter New England Local Health District. He is also a Co-Director of the Hunter New England Local Health District (HNE LHD)'s Sport Concussion Clinic, an Executive Committee Member of the Priority Research Centre for Stroke and Brain Injury, serves as a member of the Rugby Australia's Concussion Advisory Group, and is the concussion consultant to Rugby Australia. Dr Gardner was drawn to sports concussion by his love of sport and his fascination with the human brain. He has now conducted research in the field of sports concussion for over a decade, having first worked as a research assistant for the New England Paediatric Head Trauma Program in 2003. He received first class honours in Psychology (University of New England) in 2005 and subsequently completed a Doctor of Psychology (Clinical Neuropsychology) degree at Macquarie University, Sydney, where he conducted research examining the acute and cumulative neuropsychological consequences of sports concussion in semi-professional rugby union players. His thesis received the prestigious award for the Most Outstanding Dissertation for 2011 from the National Academy of Neuropsychology (USA); the first, and still the only, time this award has been bestowed upon a student who studied outside of North America. During his post-graduate studies he also pioneered and managed the Macquarie University Sports Concussion Clinic. Following this Dr Gardner completed his PhD in the School of Medicine and Public Health, at the University of Newcastle, studying the potential long-term consequences of participation in collision sports. Dr Gardner's research and expert opinion have also been sought for the development of policy papers produced by Brain Injury Australia “Concussions in Sport” (October, 2012), and Alzheimer’s Australia (NSW) “Football, head injuries and the risk of dementia” (March 2013/March 2016), and Sports Medicine Australia (SMA)'s concussion policy (February 2018). He was also involved in the production and delivery of the SMA Community and Medical Concussion Workshops in NSW that came off the back of the release of this policy. In 2013 he was invited as a leading early career researcher to contribute to the Australian Academy of Science Theo Murphy High Flyer's Think Tank on 'inspiring smarter brain research in Australia'. He was also awarded an Australian Endeavour Research Fellowship to visit Harvard Medical School for four months in 2014. In 2015 Dr Gardner was awarded the Discovery Award from Research Australia as the national early career researcher of the year for 2015. In 2016 he was awarded the Beryl Nashar Young Researcher Award by the University of Newcastle alumni advisory committee, an award that recognises achievements of early- and mid-career researchers. In 2016 Dr Gardner also received an 'Emerging Health Researcher Commendation Award' from the Bupa Health Foundation, an award that recognises the valuable contribution of emerging health researchers to health outcomes for all Australians. In 2017 he was awarded a University of New England Alumni Early Career Achievement Award, recognising his outstanding contribution to the field of sport and neuropsychology, and was made a 2017 AMP Tomorrow Maker to support the clinical and research work within the HNE LHD Sports Concussion Clinic. He also received the 2017 Vice-Chancellor's Award for Early Career Research and Innovation Excellence for the Faculty of Health. In 2018 Dr Gardner received a Fulbright Postdoctoral Award and will travel to Harvard Medical School to work closely with the Football Players Health Study at Harvard. He was also a 2018 NSW Young Tall Poppy Science Award recipient, recognition as one of Australia’s outstanding young scientific researchers and communicators. He also received the inaugural Hunter New England Local Health District Psychology Researcher of the Year Award for 2018. Dr Gardner has established strong research collaborations with international experts from Harvard Medical School, Cardiff University, Exeter University, and the University of British Columbia, as well as locally from The University of Melbourne, Macquarie University, Griffith University, and Monash University. He has created strong relationships through community engagement and sports concussion educational programs and works at the interface of research and clinical application through the HNE LHD Sports Concussion Clinic. Dr Gardner is continuing to develop his research program by focusing on the investigation of concussion across the full spectrum, from the acute, sub-acute, and chronic problems associated with sports concussion in active and retired athletes of all levels of competition. © 2018 Sports Medicine Australia Objectives: To prospectively evaluate single/dual-task timed-up-and-go (TUG) and tandem gait performance among children and adolescents with concussion and healthy controls. Design: Repeated measures. Methods: Participants with concussion (n = 23; age = 14.1 ± 2.5 years; 52% female) completed single/dual-task TUG, tandem gait, and symptom assessments 6.7 ± 2.6 and 23.3 ± 6.1 days post injury. The control group (n = 27; age = 14.1 ± 2.3 years; 48% female) completed the same protocol initially and 10.7 ± 16.1 days later. All participants completed single-task (undivided attention) and dual-task (divided attention) tests. The primary outcome variable was test completion time. Results: The concussion group completed single-task (concussion group mean = 11.1 ± 1.9 vs. control group mean 9.9 ± 1.4 s, p = 0.027) and dual-task (concussion group mean = 14.4 ± 3.3 vs. control group mean 12.7 ± 1.9 s, p = 0.047) TUG tests slower than the control group across both time points. The concussion group completed dual-task tandem gait tests slower than the control group at both time points (21.3 ± 6.3 vs. 16.8 ± 5.5 s, p = 0.006), and were slower in the single-task condition at the first test (19.8 ± 5.4 vs. 13.8 ± 4.4 s, p = 0.003). Symptoms were significantly worse for the concussion group compared to the control group at the first (34.1 ± 21.4 vs. 3.9 ± 9.1, p < 0.001), but not the second test (9.1 ± 12.0 vs. 2.2 ± 6.8; p = 0.08). Conclusions: Slower dual-task TUG and tandem gait times were detected across both time points for the concussion group relative to the control group. In contrast, single-task tandem gait deficits appeared to improve in a similar fashion as symptoms, suggesting increased complexity from the addition of a cognitive task allows for the detection of persistent post-concussion deficits that might take longer to resolve. © 2017 Taylor & Francis Group, LLC. Primary Objective: This study reviewed the available sideline Sport Concussion Assessment Tool-Third Edition (SCAT3) performance of players who were removed from play using the ¿concussion interchange rule¿ (CIR), the available video footage of these incidences, and associated return to play and concussion diagnosis decisions. Research Design: Descriptive, observational case series. Methods and Procedures: Data were collected from all NRL players who used the CIR during the 2014 season. Main Outcomes and Results: Complete SCAT3 and video analysis data were available for 38 (23%) of 167 uses of the concussion interchange rule, of which 20 (52.6%) players were medically diagnosed with concussion. Those with video evidence of unresponsiveness performed more poorly on the modified Balance Error Scoring System (M-BESS; p¿=.04; Cohen¿s d¿=.69) and reported greater symptoms (p¿=.03; d¿=.51). Similarly, players with a vacant stare reported greater symptoms (p¿=.05; d¿=.78). Those who demonstrated three signs (unresponsiveness, vacant stare and gait ataxia) performed more poorly on the M-BESS (p¿=.03; d¿=¿1.4) and reported greater symptoms than those with no observable signs (p¿=.03; d¿=¿1.4). Conclusions: The SCAT3 is sensitive to the acute effects of concussion in professional athletes; however, a minority of injured athletes might go undetected by this test. © Copyright 2017, Mary Ann Liebert, Inc. Risk factors for concussion in active-duty military service members are poorly understood. The present study examined the association between self-reported concussion history and genetics (apolipoprotein E [APOE], brain-derived neurotrophic factor [BDNF], and D2 dopamine receptor genes [DRD2]), trait personality measures (impulsive-sensation seeking and trait aggression-hostility), and current alcohol use. The sample included 458 soldiers who were preparing to deploy for Operation Iraqi Freedom/Operation Enduring Freedom. For those with the BDNF Met/Met genotype, 57.9% (11/19) had a history of one or more prior concussions, compared with 35.6% (154/432) of those with other BDNF genotypes (p = 0.049, odds ratio [OR] = 2.48). APOE and DRD2 genotypes were not associated with risk for past concussions. Those with the BDNF Met/Met genotype also reported greater aggression and hostility personality characteristics. When combined in a predictive model, prior military deployments, being male, and having the BDNF Met/Met genotype were independently associated with increased lifetime history of concussions in active-duty soldiers. Replication in larger independent samples is necessary to have more confidence in both the positive and negative genetic associations reported in this study. © © Article author(s) (or their employer(s) unless otherwise stated in the text of the article) 2017. All rights reserved. Objective Systematic review of possible long-term effects of sports-related concussion in retired athletes. Data sources Ten electronic databases. Study selection Original research; incidence, risk factors or causation related to long-term mental health or neurological problems; individuals who have suffered a concussion; retired athletes as the subjects and possible long-term sequelae defined as >10 years after the injury. Data extraction Study population, exposure/outcome measures, clinical data, neurological examination findings, cognitive assessment, neuroimaging findings and neuropathology results. Risk of bias and level of evidence were evaluated by two authors. Results Following review of 3819 studies, 47 met inclusion criteria. Some former athletes have depression and cognitive deficits later in life, and there is an association between these deficits and multiple prior concussions. Former athletes are not at increased risk for death by suicide (two studies). Former high school American football players do not appear to be at increased risk for later life neurodegenerative diseases (two studies). Some retired professional American football players may be at increased risk for diminishment in cognitive functioning or mild cognitive impairment (several studies), and neurodegenerative diseases (one study). Neuroimaging studies show modest evidence of macrostructural, microstructural, functional and neurochemical changes in some athletes. Conclusion Multiple concussions appear to be a risk factor for cognitive impairment and mental health problems in some individuals. More research is needed to better understand the prevalence of chronic traumatic encephalopathy and other neurological conditions and diseases, and the extent to which they are related to concussions and/or repetitive neurotrauma sustained in sports. © 2017 Elsevier Ltd Background Sports concussion is a risk for players involved in high impact, collision sports. Post-concussion, the majority of symptoms subside within 7¿10 days, but can persist in 10¿20% of athletes. Understanding the effects of sports concussion on sensorimotor systems could inform physiotherapy treatment. Objective To explore changes in sensorimotor function in the acute phase following sports concussion. Design Prospective cohort study. Methods Fifty-four players from elite rugby union and league teams were assessed at the start of the playing season. Players who sustained a concussion were assessed three to five days later. Measures included assessments of balance (sway velocity), vestibular system function (vestibular ocular reflex gain; right-left asymmetry), cervical proprioception (joint position error) and trunk muscle size and function. Results During the playing season, 14 post-concussion assessments were performed within 3¿5 days of injury. Significantly decreased sway velocity and increased size/contraction of trunk muscles, were identified. Whilst not significant overall, large inter-individual variation of test results for cervical proprioception and the vestibular system was observed. Limitations The number of players who sustained a concussion was not large, but numbers were comparable with other studies in this field. There was missing baseline data for vestibular and cervical proprioception testing for some players. Conclusions Preliminary findings post-concussion suggest an altered balance strategy and trunk muscle control with splinting/over-holding requiring consideration as part of the development of appropriate physiotherapy management strategies. © 2015 Elsevier Ltd. Chronic traumatic encephalopathy (CTE) has been described in the literature as a neurodegenerative disease with: (i) localized neuronal and glial accumulations of phosphorylated tau (p-tau) involving perivascular areas of the cerebral cortex, sulcal depths, and with a preference for neurons within superficial cortical laminae; (ii) multifocal axonal varicosities and axonal loss involving deep cortex and subcortical white matter; (iii) relative absence of beta-amyloid deposits; (iv) TDP-43 immunoreactive inclusions and neurites; and (v) broad and diverse clinical features. Some of the pathological findings reported in the literature may be encountered with age and other neurodegenerative diseases. However, the focality of the p-tau cortical findings in particular, and the regional distribution, are believed to be unique to CTE. The described clinical features in recent cases are very similar to how depression manifests in middle-aged men and with frontotemporal dementia as the disease progresses. It has not been established that the described tau pathology, especially in small amounts, can cause complex changes in behavior such as depression, substance abuse, suicidality, personality changes, or cognitive impairment. Future studies will help determine the extent to which the neuropathology is causally related to the diverse clinical features. © 2015, Mary Ann Liebert, Inc. Prognostic models can guide clinical management and increase statistical power in clinical trials. The availability and adequacy of prognostic models for mild traumatic brain injury (MTBI) is uncertain. The present study aimed to (1) identify and evaluate multivariable prognostic models for MTBI, and (2) determine which pre-, peri-, and early post-injury variables have independent prognostic value in the context of multivariable models. An electronic search of MEDLINE, PsycINFO, PubMed, EMBASE, and CINAHL databases for English-language MTBI cohort studies from 1970-2013 was supplemented by Web of Science citation and hand searching. This search strategy identified 7789 articles after removing duplicates. Of 182 full-text articles reviewed, 26 met eligibility criteria including (1) prospective inception cohort design, (2) prognostic information collected within 1 month post-injury, and (3) 2+variables combined to predict clinical outcome (e.g., post-concussion syndrome) at least 1 month later. Independent reviewers extracted sample characteristics, study design features, clinical outcome variables, predictor selection methods, and prognostic model discrimination, calibration, and cross-validation. These data elements were synthesized qualitatively. The present review found no multivariable prognostic model that adequately predicts individual patient outcomes from MTBI. Suboptimal methodology limits their reproducibility and clinical usefulness. The most robust prognostic factors in the context of multivariable models were pre-injury mental health and early post-injury neuropsychological functioning. Women and adults with early post-injury anxiety also have worse prognoses. Relative to these factors, the severity of MTBI had little long-term prognostic value. Future prognostic studies should consider a broad range of biopsychosocial predictors in large inception cohorts. Objective: To provide a critical review of chronic traumatic encephalopathy (CTE) by considering the range of clinical presentations, neuropathology and the strength of evidence for CTE as a distinct syndrome. Data sources: Seven electronic databases were searched using a combination of MeSH terms and key words to identify relevant articles. Review methods: Specific inclusion and exclusion criteria were used to select studies for review. Data extracted where present included study population, exposure/outcome measures, clinical data, neurological examination findings, cognitive assessment, investigation results and neuropathology results. Results: The data from 158 published case studies were reviewed. Critical differences between the older descriptions of CTE (the &apos;classic&apos; syndrome) and the recent descriptions (the &apos;modern&apos; syndrome) exist in the age of onset, natural history, clinical features, pathological findings and diagnostic criteria, which suggests that modern CTE is a different syndrome. The methodology of the current studies does not allow determination of aetiology or risk factors. Conclusions: The clinicopathological differences between the &apos;classic&apos; CTE syndrome and the &apos;modern&apos; syndrome suggest that the new syndrome needs a different nomenclature. Further research is required to clearly define the clinical phenotype of the modern CTE syndrome and establish the underlying aetiology. Future research needs to address these issues through largescale, prospective clinicopathological studies. © 2014, Springer International Publishing Switzerland. 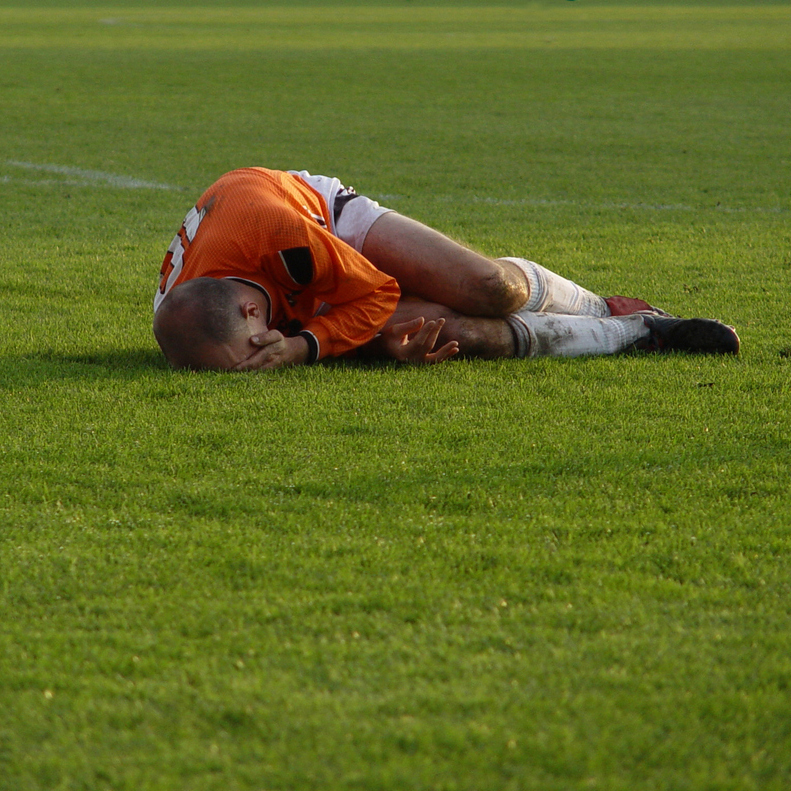 Objective: The aim of the current review was to systematically evaluate the available evidence on concussion in Rugby Union and to conduct a meta-analysis of findings regarding the incidence of concussion.Background: Rugby Union, a popular full-contact sport played throughout the world, has one of the highest rates of concussion of all full-contact sports.Methods: Articles were retrieved via a number of online databases. The current review examined all articles published in English up to May 2014 pertaining to concussion in Rugby Union players. The key search terms included ¿Rugby Union¿, ¿rugby¿, ¿union¿, and ¿football¿, in combination with the injury terms ¿athletic injuries¿, ¿concussion¿, ¿sports concussion¿, ¿sports-related concussion¿, ¿brain concussion¿, ¿brain injury¿, ¿brain injuries¿, ¿mild traumatic brain injury¿, ¿mTBI¿, ¿traumatic brain injury¿, ¿TBI¿, ¿craniocerebral trauma¿, ¿head injury¿, and ¿brain damage¿.Results: The final search outcome following the eligibility screening process resulted in the inclusion of 96 articles for this review. The meta-analysis included a total of 37 studies. The results of the meta-analysis revealed an overall incidence of match-play concussion in men¿s rugby-15s of 4.73 per 1,000 player match hours. The incidence of concussion during training was 0.07 per 1,000 practice hours. The incidence of concussion in women¿s rugby-15s was 0.55 per 1,000 player match hours. In men¿s rugby-7s match-play, concussion incidence was 3.01 per 1,000 player match hours. The incidence of concussion varied considerably between levels of play, with elite level play recording a rate of 0.40 concussions per 1,000 player match hours, schoolboy level 0.62 concussions per 1,000 player match hours, and the community or sub-elite level recording a rate of 2.08 concussions per 1,000 player match hours. The incidence of concussion in men¿s rugby-15s as a function of playing position (forwards vs. backs) was 4.02 and 4.85 concussions per 1,000 player match hours, respectively.Conclusions: Concussion is a common injury sustained and reported in match play and to a lesser extent during practice by Rugby Union players. Based on the available published data, there appears to be a variation in risk of concussion across level of play, with the sub-elite level having the greatest incidence of injury. Future research focused on studying the acute consequences and best management strategies in current players, and the potential longer term outcomes of concussion in retired players, is needed. A focus on the areas of prevention, injury identification, and medical management, and risk for long-term outcomes will be of benefit to current athletes. Traumatic brain injury (TBI) is a common condition that is often complicated by neuropsychiatric sequelae that can have major impacts on function and quality of life. An alteration in the sense of smell is recognized as a relatively common complication of TBI; however in clinical practice, this complication may not be sought or adequately characterized. We conducted a systematic review of studies concerned with olfactory functioning following TBI. Our predetermined criteria led to the identification of 25 studies published in English, which we examined in detail. We have tabulated the data from these studies in eight separate tables, beginning with Table 1, which highlights each study&apos;s key findings, and we provide a summary/synthesis of the findings in the accompanying results and discussion sections. Despite widely differing methodologies, the studies attest to a high frequency of post-TBI olfactory dysfunction and indicate that its presence can serve as a potential marker of additional structural or functional morbidities. © 2014 Schofield, Moore and Gardner. This study compared the effects of the putative cannabinoid receptor &apos;silent antagonist&apos; O-2050 with the cannabinoid receptor inverse agonist SR 141716 on food and water consumption, and locomotor activity. Non-deprived male Wistar rats were habituated to the apparatus and testing procedures, then injected intraperitoneally with vehicle, O-2050 (0.03-3.0 mg/kg), or SR 141716 (3.0 mg/kg) prior to 4-h test sessions. Food consumption was significantly reduced by both drugs. Water intake and locomotor activity were significantly reduced only by O-2050. Results support the notion that cannabinoid receptor antagonists suppress feeding behaviour by blocking an endogenous cannabinoid orexigenic signal, rather than by inverse agonism at cannabinoid receptors. However, further studies are needed to confirm the status of O-2050 as a cannabinoid CB1 receptor antagonist devoid of inverse agonist properties. © 2005 Elsevier B.V. All rights reserved. Principal Investigator: Grant Iverson. Co-Investigators: Paul Berkner, Isabelle Gagnon, Ana-Maria Vranceanu, Andrew Gardner. Collaborators: Peter Stanwell, Doug Terry, Nathan Cook, Noah Silverberg, Bruce Maxwell. Derek Jones, Huw Williams, Martin Bunnage, Keith Stokes, Michael Jones, Andrew Gardner, & Grant Iverson. Gardner, A.J., Stanwell, P., & Levi, C.R. Levi, C.R., Gardner, A.J., & Stanwell, P.
Dr Andrew Gardner and Dr Serene Yoong have been announced as winners of the prestigious 2018 NSW Young Tall Poppy Science Awards. 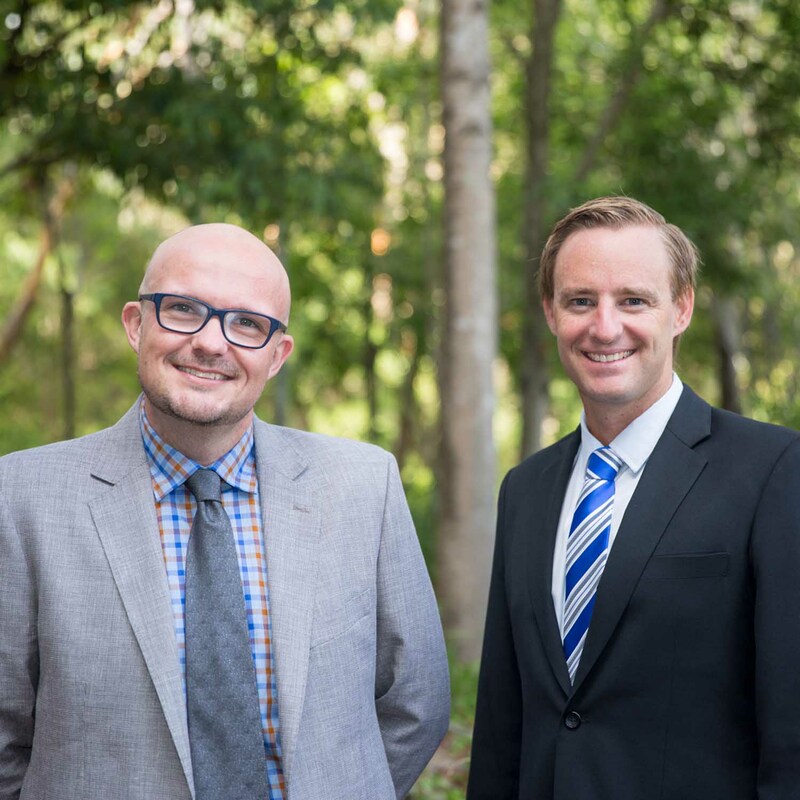 UON Clinical Neuropsychologist, Dr Andrew Gardner, will play a key role in protecting Australian athletes from concussion on the field, with new state-wide guidelines announced today. Neuroscience researcher Dr Andrew Gardner has won the 2015 Griffith University Discovery Award from Research Australia.